David and Sharon welcome you to the The Black Boy in Sudbury. 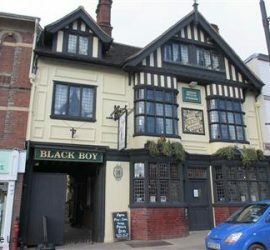 The Black Boy is a charming 16th Century Inn situated in the heart of this historic market town. The building has just been refurbished to the highest standard and retains much of its character. We are a family run business with a friendly and helpful staff team .